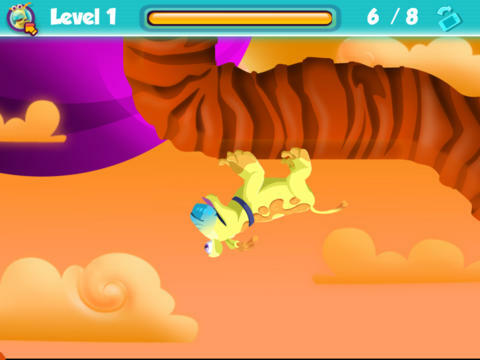 Help Jack train Rocket, his cute alien dog so he can become a Super Explorer Dog. Use various touch controls and device manipulations to help Rocket perform a variety of cool skills, such as the Super Jump, Upside Down Walking, the Super Flair, Tongue Stretching, Supersonic Hearing and Air Acrobatics. Reward Rocket between training sessions to encourage him and improve his super skills. Take part in 30 training levels and 6 challenging events that will allow Rocket to progress and attain his objective! Collect mini-chips while you play to obtain various accessories for Rocket or to customize your avatar on the Jack web based game. 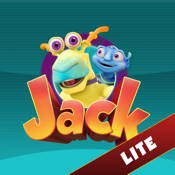 Combining colorful graphics, original game mechanics, and an adorably funny character, the Jack App is a smart and playful game for kids…and their cool parents! The lite version offers 10 game levels, two events to tackle and a few accessoires to unlock.